I know that I'm notoriously bad at updating this blog and it is something at which I would like to get better. I'm mainly posting here now because my site hasn't really been updated since 'Oh No, My Patio!' was released back in June. I'm currently working on a project in collaboration with New Breed Games, which should be released later this year. "FlickBack" is a reaction based game designed for mobile and will see a dual-release on the Apple App Store and Google Play Store. The best place to keep up to date with the project is on the New Breed Games Facebook page here. And to wet the appetite, here are a few in-development screenshots. Note: The game is far from complete, so none of these shot are that exciting. As a side note, I are also planning to release the icons used for this game on the asset store later this year. More details will be provided on this plan closer to the time. In other news, I've also been practicing my 3D lighting skills recently. Check out the new 'Art' section of my site to see what I've been up to. 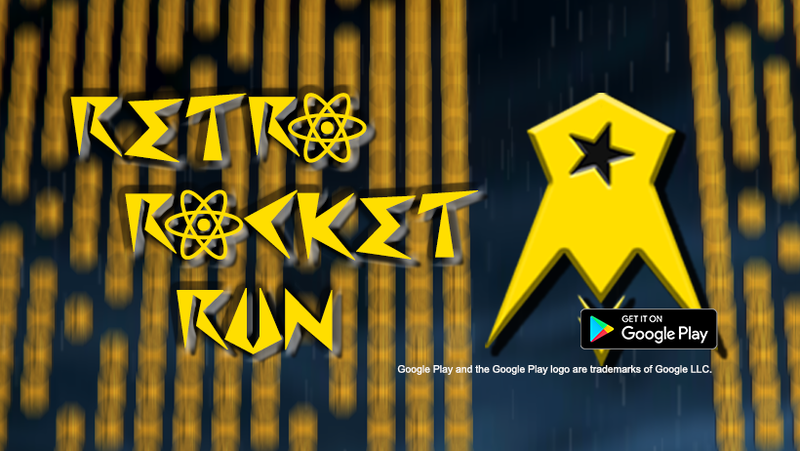 Wow, it's been quite a ride but Retro Rocket Run is now in open beta on the Google Play Store! I wanted to write a short post just to say thank you to those who have followed me through this process. It's my first real game and I'm really pleased to finally get it out into the world. Now, I won't lie - it's definitely not perfect. However, I've learnt so much during development and my games can only get better from here! You can read a bit more about it over on the games page here. You can also join the open beta here. The official release date will be Friday 2nd March 2018, but if you sign up for the open beta then you will be awarded with 90 rare coins for you to customise your ship in whatever way you chose. I truly hope you enjoy giving the game a go and I look forward to bringing you even bigger and better things in the coming months. This is just a quick update to let you all know that yesterday was a pretty good day for me. I am now officially a Unity Certified Developer! I passed the test with over 90% too, which i'm pretty pleased with. Now back to work on the new project. I'll hopefully be sharing details on that towards the end of this week. When I said that I was stepping away from my RPG project for a bit I meant it. It was getting far too big and since I had no real plans to release it I thought my energy could be better spent doing something else. So, I have a new project in the pipeline! This one is a fair bit smaller and should be far more manageable to build on my own. I'm not revealing details yet, but once I've got the core mechanics sorted I'll be sharing it here first, so make sure to check back soon and watch this space!